A suggested $10-20 is recommended for participants. Please offer what you can and don't let your financial situation prevent you from participating. We don't turn anyone away for lack of funds. All donations are tax deductible. “It is better to conquer yourself than to win a thousand battles. Then the victory is yours; it cannot be taken from you." You might also be interested in our Saturday Bodhisattva Practice Retreats. See the full 2019 schedule for this retreat program. Join us as we celebrate the reopening of Dharma Refuge in our new location, Covenant United Methodist Church (second floor/accessible). 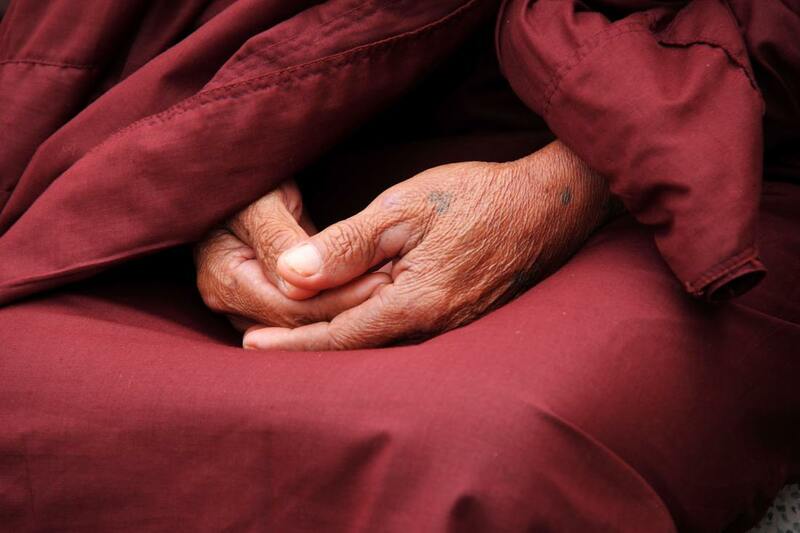 We will have a day of silence and meditation, with a video Dharma talk by Anam Thubten Rinpoche offered mid-afternoon. Peter, a dear friend of the sangha, will bring his singing bowls to ring in the sacredness of our new practice center. Everyone is welcome. No previous meditation experience is required. You are welcome to come and go silently, attending the full day or whatever sittings work with your schedule (see "Important Details" below). We will honor silence throughout the day, breaking silence at 4:00 for socializing and tea in our new Tea & Hospitality area. Please leave belongings (coats unless needed for warmth, shoes, backpacks, lunches, etc. ), except for valuables and note-taking materials, in the Entry Corridor or the Tea Room. Please refrain from bringing food into the Meditation Hall. Feel free to bring beverages in closed containers with tight fitting lids and that won't spill if tipped over. Dharma Refuge offers cushions, chairs and soft upholstered seating options for your comfort. You’re welcome to sit in a chair, sit or kneel on a cushion or bench, or stand near one of the walls. Please refrain from lying down in the Meditation Hall unless you have a medical reason like back pain (in which case you are welcome to lie down toward the back of the Hall). Participants are welcome to include walking meditation during any of the sessions they choose. Dining, reading, and journaling is welcome in our Tea and Hospitality area. We invite participants to bring their own lunches and dine together in silence. The lunch break will be long enough to go out to eat at a local area restaurant or to pick up food and bring it back. Bring pillows, extra cushions, blankets, covered drinks, etc. Whatever will support your comfort! Our entry doors will remain locked during all meditation sessions. Please plan to arrive between 8:15 am and 9:00 am, or during one of the scheduled breaks (see below). There will be someone at the door during all breaks to allow people to enter the building.